When you take out loans to meet any financial need you take up debt upon your shoulders. Debt is never a nice thing to have, no matter why you have incurred the debt. 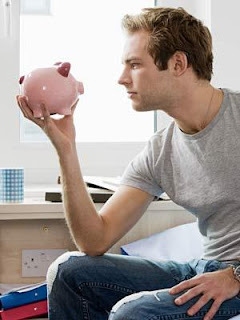 It is very much important that you take care of your personal finance habits and get out of debt as soon as possible. This is because most of your debts, especially the unsecured one have a high rate of interest. Thus you keep paying more money than what you had borrowed as long as you have the debt. Here are some bad personal finance habits that you should avoid. Being satisfied with long work hours and low wages – With the current condition of the job market, most people get satisfied with any kind of work they have. However, if you are flipping burgers from 9 to 5 throughout the week, it simply is not enough to sustain your family and pay your bills. Working for long hours in order to make up the difference leaves you drained out of all energy. Even if you are working part time to finance your education, if you work too long, you become perpetually exhausted and unable to concentrate in your education. It is also not good for your health which can become worse in the long run. The festive season and holiday season coincides at the end of the year, and it is this time that people usually go credit crazy, shopping for all the wonderful goodies on display. You need to put an immediate stop to this. Most of the times you have to spend 5 years to pay back what you spent on that one month and the amount keeps adding up every year. Try to make this work for you and your family during Christmas without indulging in too much of lavishness. If you use your credit card in a responsible manner and pay off all your balances at the end of every month, then you can use it for most of your everyday transactions. However, if you already have a hefty amount as credit card debt then it is absolutely necessary that you stop using it for minor purchases as you are going to add to the amount of debt. The laws of the nation makes bankruptcy quite an accessible option for the citizens. However, the consequences of bankruptcy also ensure that individuals don’t repeat their foolish behavior with money again. It is important that you don’t look upon bankruptcy as a sort of insurance plan against bad financial behavior and decisions that you have taken. The drop in credit score that occurs after bankruptcy makes it virtually impossible for you to get a new loan such as mortgage, car loan or even an unsecured loan or credit card at5 suitable rate of interest. If you own a car, you need to have insurance by the laws of most of the states in America. Thus you would be required to purchase auto insurance. When you are buying a house, the lender of your mortgage would usually ensure that you buy a private mortgage insurance, thus if you fail to pay your mortgage due to loss of work, then this insurance can pay for it. Apart from these, you should have a health insurance for sure so that you don’t have to spend fortune in future on health care costs. Thus you can see how the above habits should be avoided in order to ensure that you take care of your personal finance better. Divorce can be hard on your pocketbook, and knowing a few tips to make the financial process go more smoothly would be greatly beneficial. If you are going to use credit cards instead of cash make sure you have the funds available to pay off the balance otherwise you will incur ongoing interest charges. Thanks for the article. We all some financial habbits that it would be much better to live without.I know some people who can not control their spendings - they spend money all the time, make debts and spend again.It's important to take control over your budget and do not spend money you do not actually have.For me personally there are 2 times of debts - healthy and unhealthy.Sometimes it's okay to borrow some money and pay it off quickly, but when making debts becoming a lifestyle - then it's just awful.I think that people should pay more attention to budgeting and saving money. Such a good article here. It's really very informative one.